A formal letter, usual written for business purposes, is often the first opportunity an individual or a business has to make a strong, lasting impression on another. It is important that your formal letter be well written and presented in the right format, in order to convey the perception of professionalism to your reader. Individual writers such as a job applicant may write out their address in either the top left or top right corner of the page, depending on which letter writing convention they choose to follow. However a more modern trend which is compulsory for businesses and permissible for individuals, is to have your name and address listed out as a header, usually in the form of an official letterhead. This inside address/recipient address is used to ensure that the letter reaches it’s intended audience. Although in a lot of cases, this may not be necessary (perhaps because you will be delivering your letter in person), it is still required, as part of letter writing convention. While the position of the senders address is variable with different writing styles, the inside address must always be placed on the left side of the page, usually one line beneath the date. While the sender's address does not have to include their name, the inside address should always be specifically addressed to a particular person or department, and should include their name and designation. The salutation/greeting, usually follows this format: Dear Title Name, in all cases where you know the name of the person to whom you are writing. If you do not, however, know their name, then you may simply refer to them as Sir or Madam. In the case of job applicants, it may be more appropriate to address the recipient as the hiring manager or the recruiting manager, unless directed otherwise. The body of a formal letter, like any other letter, is broken into paragraphs that have some functional significance. The opening paragraph should tell the reader who you are and introduce your purpose for writing, and the subsequent paragraphs will make up the body of your letter. You should use the body to go into the details of why you are writing. Your final paragraph should be used to make a concluding statement and offer any further information such as availability for a follow up meeting or additional contact details. If you are familiar with the person you are writing to and have addressed them by their name in your salutation, then you should close with the phrase, “Yours Sincerely”. Otherwise, use the phrase “Yours Faithfully”. 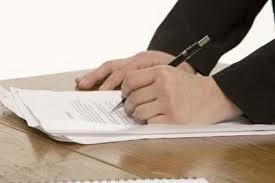 You should have a signature line two spaces below the closing of your letter, where you will be expected to append your signature.